Many homeowners dream about remodeling their house and transforming it into their own custom space. Finding the right contractor can be difficult, however, which is why Integrity Home Pro is here to help with expert home remodeling services. We can handle all your remodeling needs, including bathrooms, kitchens, additions, conversions, and more. Our experienced professionals will work with you to design the perfect space for your needs and give you a custom plan that is exactly what you've envisioned. If you want to upgrade your home with custom remodeling services, call us today at 1-855-202-7142 or contact us online to get started. We offer free remodeling contractor cost estimates on all our services in Silver Spring, Bowie, Columbia, Ellicott City, and the surrounding areas. Widows, Kitchen and more - Oh MY! Let The Old Be Gone! Welcome The New! If your kitchen is worn down, has outdated appliances, or doesn't work efficiently, full kitchen remodeling can help! We will design a beautiful, practical workspace that includes new cabinets, backsplash, countertops, and more. Whether you want to update an existing kitchen or design a completely custom space, Integrity Home Pro has the expertise to turn your plans into reality. Bathroom remodels are among the most popular home improvement projects, and we can handle everything from a master bath to a small powder room. We'll work with you to find the best fixtures, countertops, and layout for your needs, ensuring that your bathroom remodel gives your family exactly what it needs. 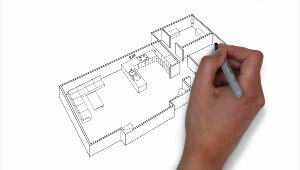 Building an addition is the ideal way to give your home increased living space and improve property value. Whether you want to add a new family room, an in-law apartment, or an entire second floor, we can design and build a space that functions perfectly for your needs and gives your home a fantastic upgraded appearance. A sunroom is a cost-effective way to add flexible square footage to your home. Sunroom additions can serve many purposes and can provide year-round enjoyment. We build custom-designed sunrooms, including open porches, three-season sunrooms, and four-season sunrooms. Sunrooms are ideal for homeowners who want more useable outdoor space. Replacement windows and doors are essential for any home improvement, as they provide a fantastic finishing touch to complete your design. However, they also have several benefits of their own, as new windows and doors will reduce drafts, improve insulation and comfort, and can help cut utility costs. For many homeowners, converting an attic or garage is the best method of adding living space. While the frame of these areas is already in place, Integrity Home Pro will ensure that you meet all code standards for living space while giving you a beautiful new room that can serve as an extra bedroom, living room for the family, or play area for the kids. If you've been wanting to improve your home, don't wait any longer! The experts at Integrity Home Pro will give you the perfect solution for all your remodeling needs, creating a great living space and improving the comfort and function of your home. Call us today at 1-855-202-7142 or contact us online to get a free remodeling cost estimate. We proudly serve in Bowie, Silver Spring, Columbia, Bethesda, Lanham, Glen Burnie, Pasadena, Annapolis, Germantown, Odenton, Ellicott City, and throughout the surrounding areas in Maryland.